GoTY 2014 User's Choice Round 2: Match 1 (Update) Shovelry Prevails! We've seen several exciting matches so far this year in our quest to crown 2014's Nintendo Centric GoTY and today's match-up should be no different! Can Yacht Club Games' Shovel Knight prevail in it's match against Nintendo's heavy-hitter Super Smash Bros. 4? Only you can decide! Whether you're a registered member or a valued guest the fate of this match is completely in your hands! The voting for the matches in round two will be open for 48 hours per match, while voting during the finals will be open for a full week. Shovel Knight has defeated Super Smash Bros. 4 in a landslide victory receiving over 75% of the votes! Will Shovel Knight triumph over its competition and become our choice for GoTY 2014? We'll find out soon! Be sure to vote in the poll ballet above and feel free to talk about this match-up in our comments below! Re: GoTY 2014 User's Choice Round 2: Match 1 (Update) Shovelry Prevails! Wow Shovel Knight has a commanding lead with 3 votes to none! 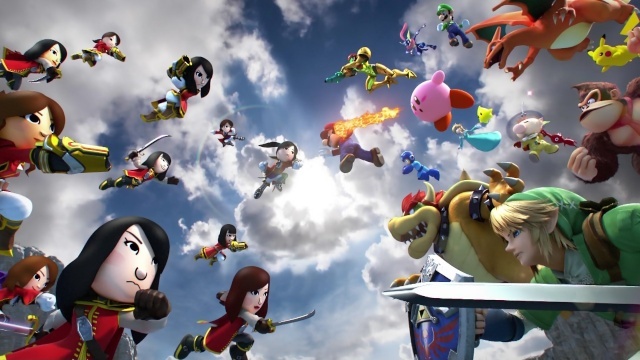 Smash deserves to be the GoTY it's awesome and has so much content! I got way more time out of Shovel Knight. Shovel Knight is going to win! Shovel Knight has advanced to the final round! The article has been updated to reflect this.